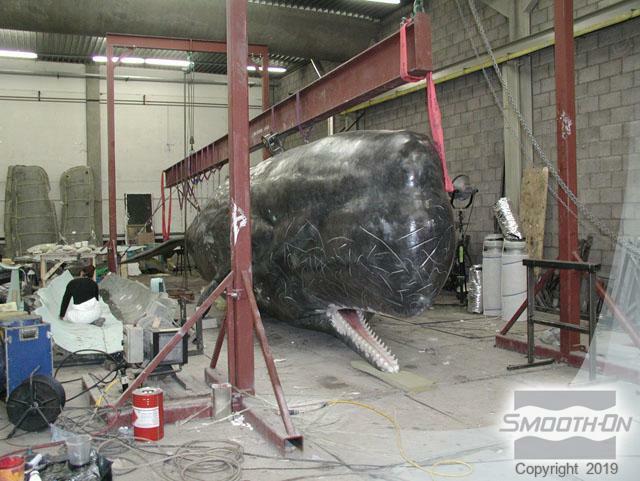 Smooth-On's silicone rubber takes the lead in making 45' (13.8 m) animatronic whales for the film, "Ocean Warrior," which was produced in Europe. Wanted: New Technologies – The whale's skin needed to be soft and paintable. 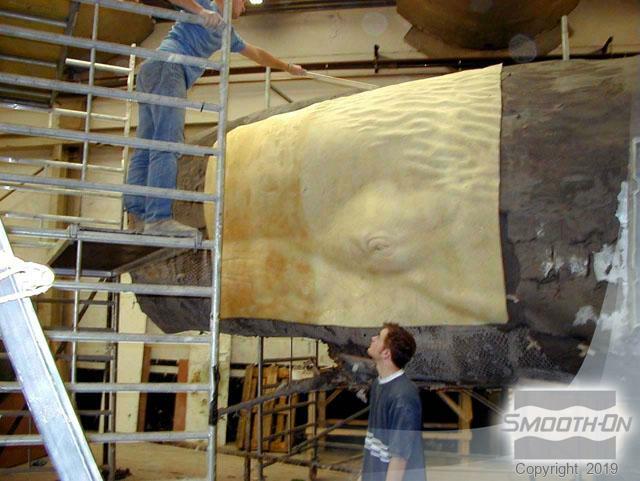 Silicone was softened with Slacker® deadener, which gave the cured rubber the look and feel of real whale blubber. Painting a Silicone? As anyone who has ever tried to paint a silicone will tell you, it is quite difficult. Smooth-On Psycho Paint® was created for just this application. 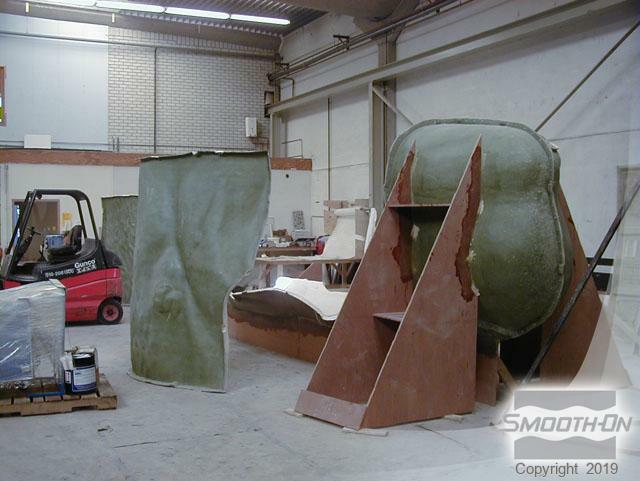 It was sprayed onto the surface of the rigid mold using a spray system and deadened Dragon Skin® was poured into the mold. The Psycho Paint adhered to the cured rubber, which provided exactly the needed effect. The finished giant has a belly full of electronics and enough of a motor to actually swim. Sections of the giant sculpture are molded. Psycho Paint is sprayed into the rigid molds. Giant molds are used to construct segments of the whale. 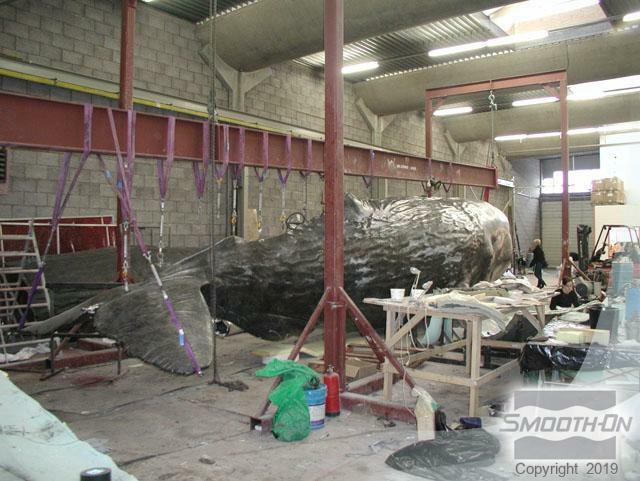 The cast silicone skin is placed around the mechanized whale 'skeleton'. 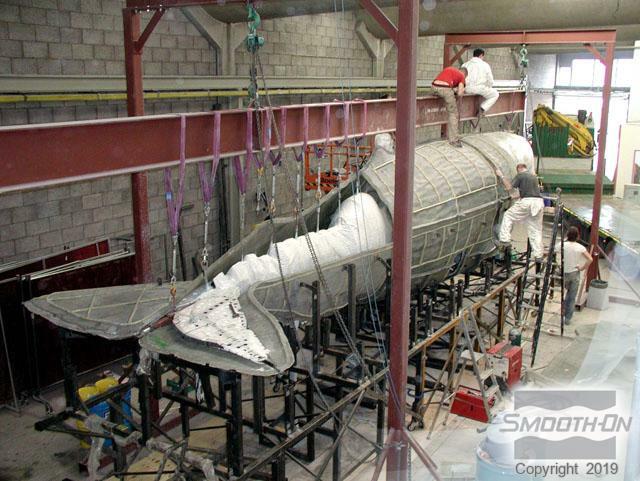 Once the whale is assembled, touch-up paint is applied along the seams. the finished animatronic is virtually indistinguishable from an actual whale.